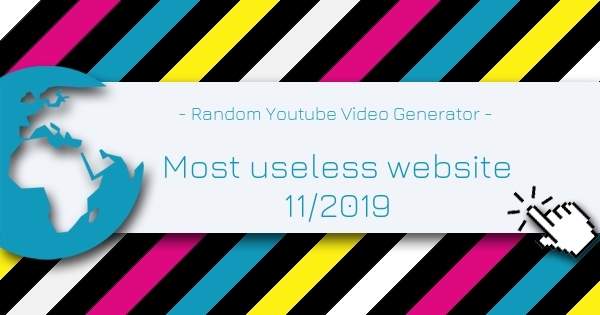 Random Youtube Video Generator is the Most Useless Website of the week 11 in 2019. Cool new way to surfing YouTube. Don't mind "What is the most viewed video on YouTube? ", watch the lowest viewed and weirdest private videos on YouTube. Find weird, creepy, and random YouTube videos that are coming from the deep side and dark depths of YouTube. Rated 5 out of 5 based on 6 user ratings.